Beattie's Book Blog - unofficial homepage of the New Zealand book community: Dan Brown's Inferno set for blockbusting sales - publication today ! 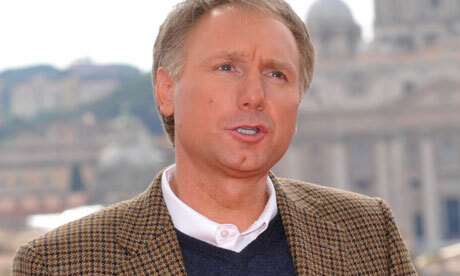 Dan Brown's Inferno set for blockbusting sales - publication today ! With less than 24 hours to go before Robert Langdon, Dan Brown's tweed-clad code cracker, strides back onto the literary stage, booksellers are predicting that the author's forthcoming new novel, Inferno, will be the biggest of the year. Brown's The Lost Symbol sold more than half a million copies in hardback in its first week on sale when it was published in 2009. Inferno, out on Tuesday and taking readers "on a journey deep into [the] mysterious realm" of Dante's Inferno in Florence, according to the novelist, is already top of Amazon's bestseller charts, and Waterstones also believes it is set to be No 1. The book chain said the novel has already received its largest level of customer pre-orders since JK Rowling's The Casual Vacancy. "This should be the fastest and biggest selling novel of the year – it's hard to see how anything could beat it," said Chris White, Waterstones fiction buyer. "It'll be a huge hit now and throughout the summer, then see another peak at Christmas. It could well be No 1 on 25th December." Bookshops are already fighting for market share on Inferno, with Amazon and Tesco both selling the £20 hardback online for less than half price, at £9, and WH Smith's website pricing it at £9.99. Waterstones – which will open its Piccadilly branch an hour early, at 8am, on Tuesday morning to sell signed first editions of the novel to the first 200 readers – is selling Inferno for £10 online. But the plot remains a closely guarded secret. Brown, who has 190m copies of his books in print worldwide, promised "the darkest novel yet" in an interview with the Sunday Times this weekend, the only one he is giving before the book's release. The novelist said that the subject matter he is dealing with "is so vibrant and so horrifying that it does a lot of the work for me. I'm not writing about the masons and ancient histories, which is kind of ethereal. I'm writing about Dante's vision of hell … It wasn't until the 1300s and this version of Inferno that it became terrifying. Dante has had enormous influence on the Christian view of hell." Taking a moment to show his interviewer his gravity table, where he hangs upside down from metal stirrups when writer's block strikes, Brown – who gets up at 4am every day to write – said the life of an author was "awful" and a "brutal existence". "I enjoy having written, past tense. I must enjoy it on some level but I find it very difficult. I feel like it's working out for an hour. You feel good at the end, but while you're doing it, you wish you were doing something else," he said. He also revealed that he tries not to read his reviews, feeling partly that "critics have such knowledge" of their field "that I'm not sure that they always share the taste of the masses", and also that he is "writing for myself". "It's funny to me that there are critics who say, 'Oh, it's a lazy style'. I believe that the purpose of language is to convey an idea and I personally don't like language getting in the way. I don't want to read things where I'm just drowning in the prose," he told the Sunday Times. "There are times when you read for the beauty of language, but there are also times when you read to be entertained or to get information. That's how I try to write – as clearly as possible so you don't have to read a sentence twice. All of that is intentional and there are various kinds of devices that I use – very intentionally and very carefully – to create that reading experience."